Group Ukulele Classes are Saturdays at 4 p.m.! Ukulele Classes start at the beginning of each month! Join our Ukulele Classes today by signing up with our form below! We will be in touch within 24 hours! 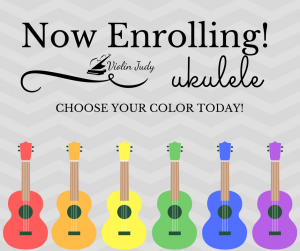 Sign up for Ukulele classes TODAY! Our Classes of up to 8 students with 2 teachers fill up FAST! You can join our weekly Ukulele classes at any time! The fun and learning never stops! You can sign up for our Ukulele classes with NO previous Ukulele experience and can take this course if you have completed a previously offered ukulele class as well. Our 2019 Classes are at 4p.m. on Saturdays. Our one low price of $180 includes everything you will need to take this course-books-materials-accessories and a nice ukulele in your choice of color to keep FOREVER. 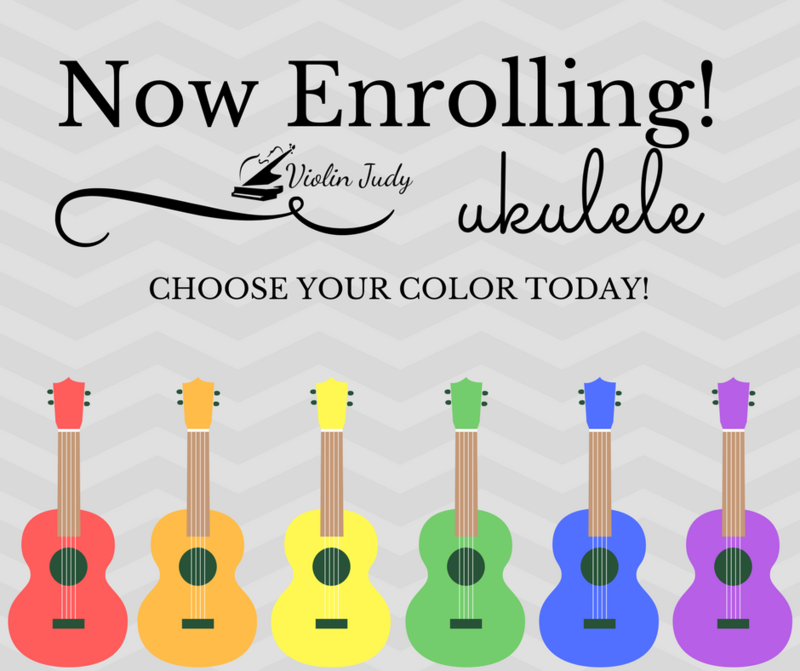 Students who have a good quality ukulele can contact us about a $30 discount on enrollment. Students who have taken our course before get a BIG discount when they re-enroll! 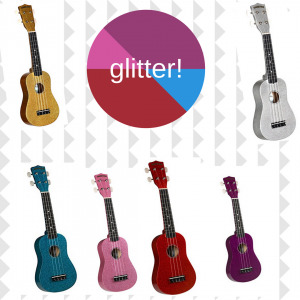 New for 2018 you can upgrade your ukulele to glitter for an extra $20! Do you already have a quality ukulele that stays in tune? We can offer our course for $150. Returning students receive an additional discount (you can find information about that in the ukulele class emails) each time they take the course, and it’s an awesome deal! We want you to continue learning and having fun in our music studio! About us: Hi and Thanks for visiting our website! We are Ms. Judy and Miss Sarah Jane; sisters who love to teach ukulele in Wichita, Kansas! Our ukulele lessons are really fun and we use the latest cool technology along with a great curriculum for really learning ukulele inside and out! We offer a six week group course year round with once a week (on the weekends) classes starting in November 2017, January 2018 and March 2018! 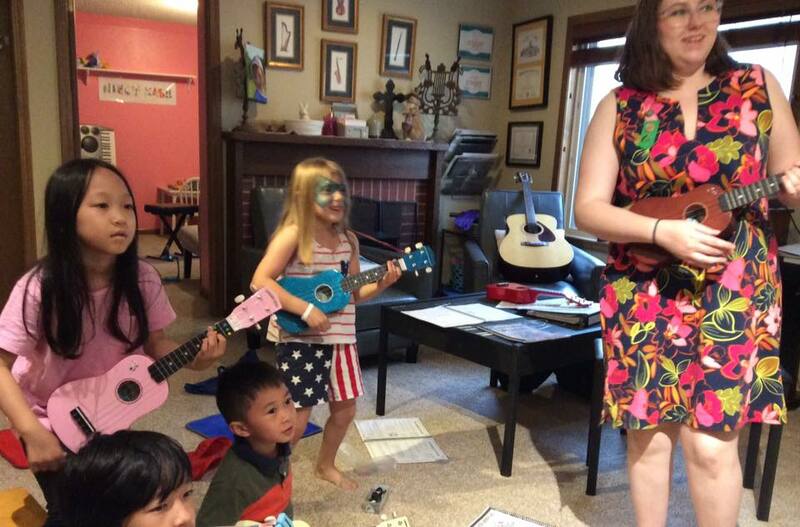 Miss Sarah Jane also offers private ukulele lessons! 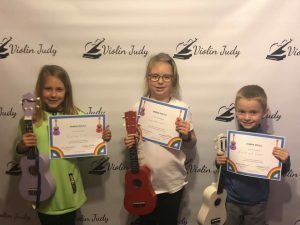 We have had a great time teaching over 50 ukulele classes since 2017! That’s a LOT of ukulele! We taught groups from ages 5 to Adults and even “family ukulele” where moms and dads or grandparents and aunts and uncles with kiddos came and learned together. Our ukulele classes are engaging and teach you everything you need to know to be able to play for enjoyment, or to just jam with your friends. You can see a cute video of your future teachers (Ms. Judy and Miss Sarah Jane) jamming out at www.facebook.com/violinjudystudio (it’s pinned to the top of the page!) Be sure to like and follow our facebook page for all the latest and greatest! We use APPS to make learning fun and we have a great book that each student gets to keep forever! 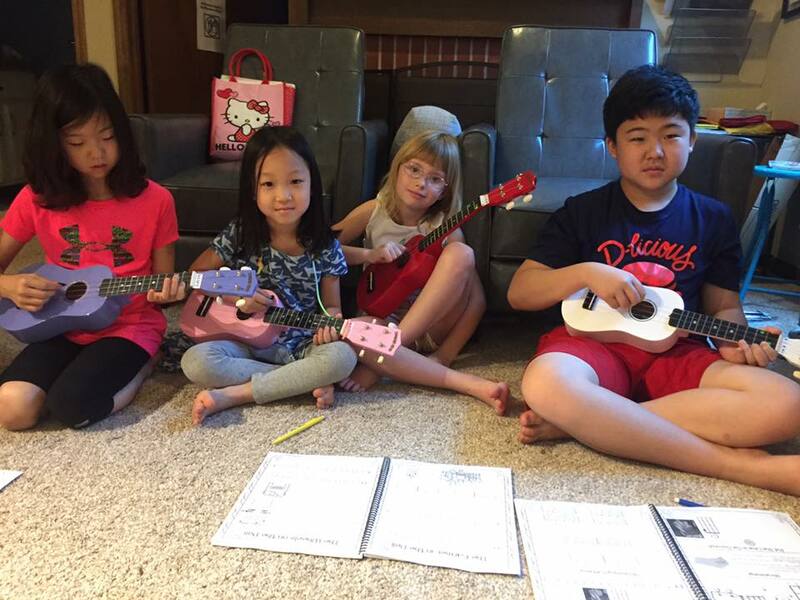 In our fun classes students learn lots of skills that are helpful for learning other instruments as well-note reading, rhythm training and lots of motor skills that keep your brain active! 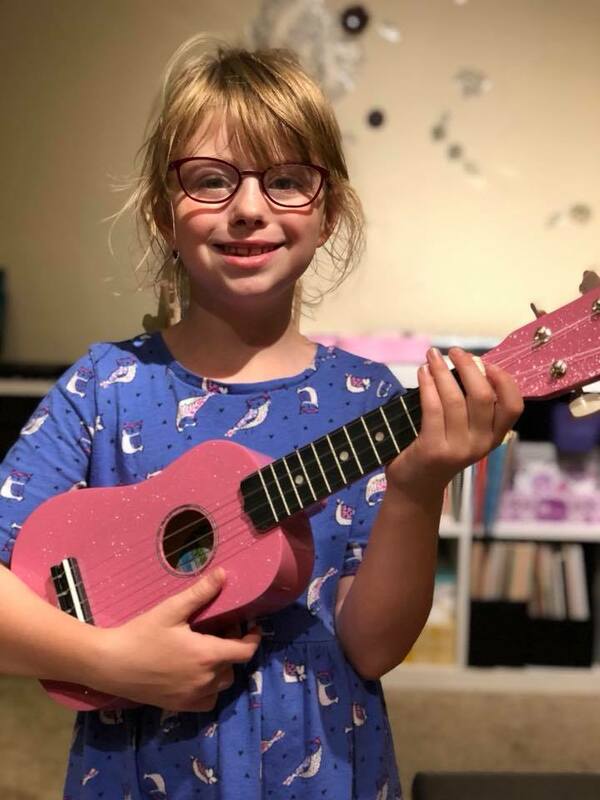 Ukulele is a great instrument to learn-the small size makes it easy to transport and hold even for little hands, and the ukuleles we purchase (included in the price of tuition) are good quality. 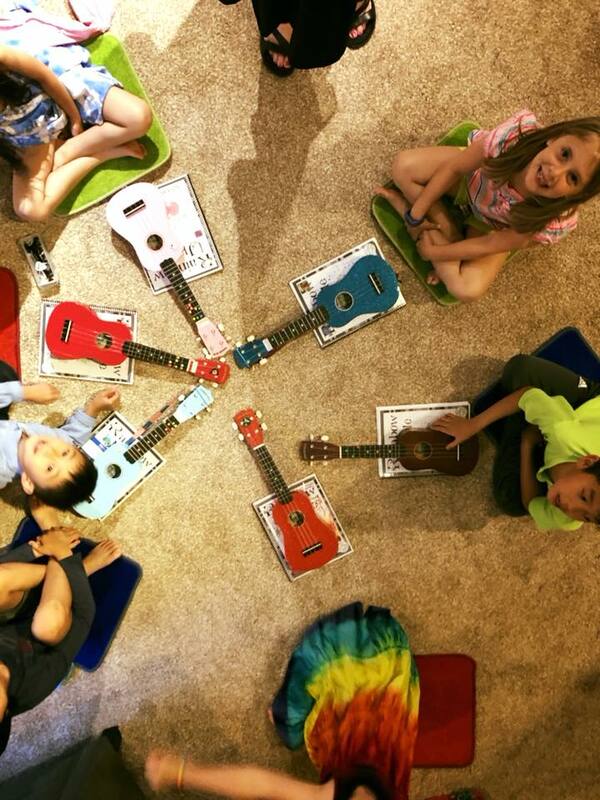 SIX Weeks of once weekly 45 minute Ukulele Jam classes where we learn to play in small groups! Music Videos featuring students are made to share your awesome skills with friends and family! Fee: $180 for a 6 week course. 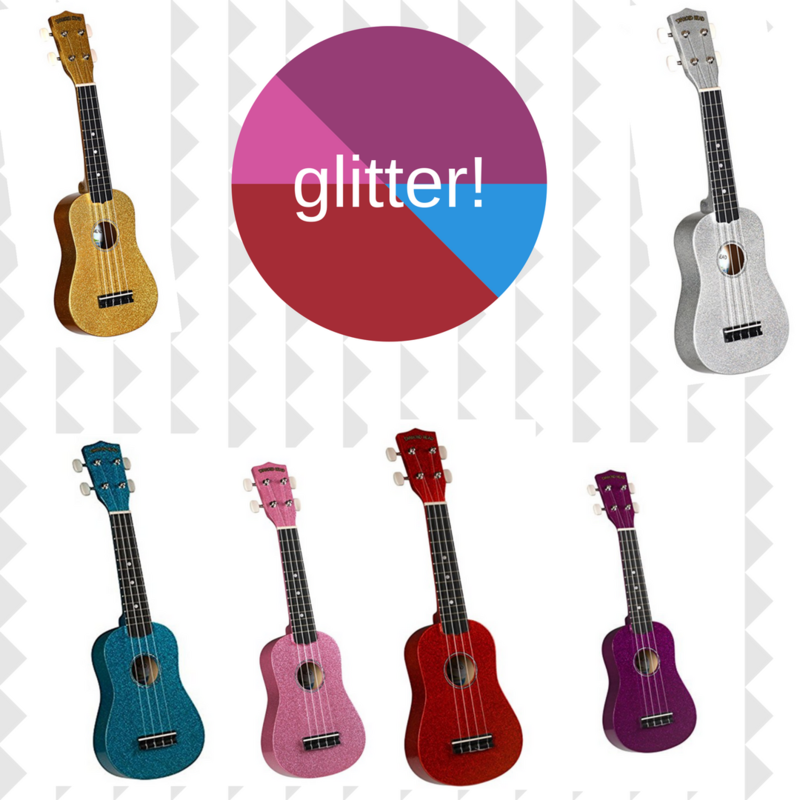 price includes the price of the UKULELE, BOOKS, MATERIALS, ACCESSORIES, and INCENTIVES! Call 316-768-PLAY today or email violinjudy@gmail.com to sign up for Ukulele classes NOW! You can also submit the form below. Fall class times Start the second weekend of September and are Saturdays at 4 p.m. or Sundays at 1:30. Each class has 2 teachers per 8 students, and currently our 2 fall classes are all ages. 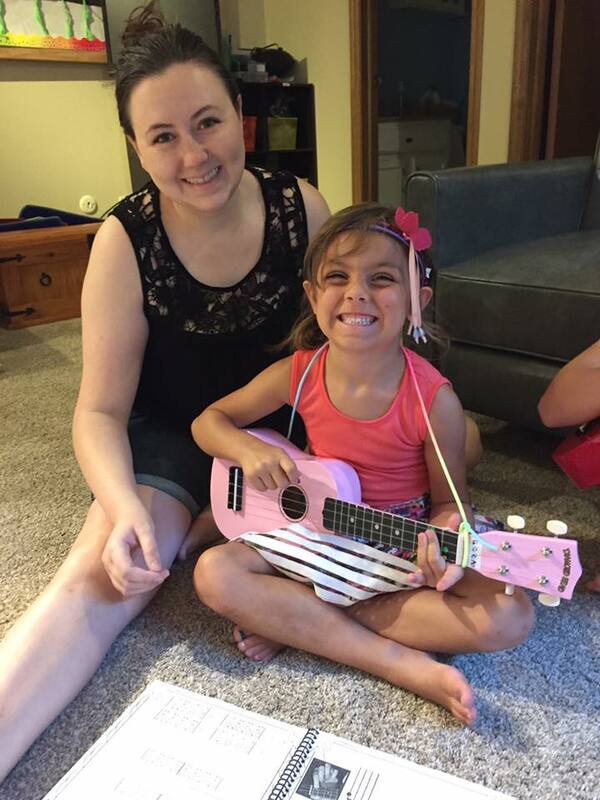 If you are interested in private Ukulele Lessons, we offer weeknight times! We have taught classes with ages 5 to adult and use a proven curriculum combined with cool technology that keeps you motivated to learn! Our students are SO CUTE! 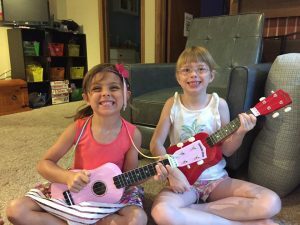 When my six year old daughter wanted to learn Ukulele, I searched for a quality program teaching Ukulele in Wichita Kansas and was discouraged with my results. I decided to teach her myself and ended up creating my own program, and found awesome advice and help from my extensive network of music teacher friends across the globe! This project was so much fun that I decided to offer it to my own large studio of violin and piano students and the response has been amazing! Apparently I inspired so many other teachers to offer Ukulele that I started my own group for Ukulele Teachers! Who knew that this project would be a new fun hobby for ME TOO! We started with 5 Summer ukulele classes and our program has grown so that we are offering it year round! These brothers (pictured above) just loved their RED matching ukuleles and they really were motivated by our cool prizes for practicing! We have a fantastic curriculum that makes learning ukulele fun, quick and easy-just as it should be. With my 20 years experience teaching Violin, Viola and Piano in Wichita, Kansas, I’m excited to add Ukulele classes to my studio’s offerings! 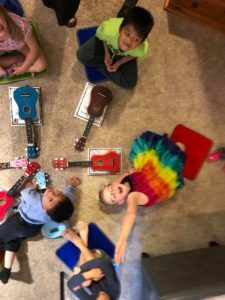 Class sizes are small with no more than 8 learners per class and I’ve taken all the hassle (and trips to the store or costly shipping) out of the equation by purchasing all the ukuleles, accessories, books and materials for you! 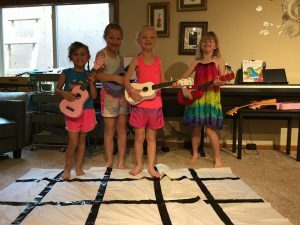 As a busy mom myself, I understand that the obstacle to starting a new activity may not be the fee, the class time or location, but all the unexpected and unknowns-those last minute trips to the store for a small item can be very frustrating and with my Ukulele class package you won’t be stressed out at all! I trust paypal as I have had very few issues with it as a consumer and business owner and you do not need a paypal account to use the service. www.Violinjudy.com or call 768-PLAY to schedule a new student meeting today! Financial Assistance is available through MusicLink Foundation. If you feel your family qualifies for assistance, please visit http://www.musiclinkfoundation.org/prntinfo.php4 to fill out a confidential application today!